POMPANO BEACH, Fla. - A child was taken into custody Tuesday morning after he crashed a stolen car into a fence in Pompano Beach, authorities said. Sky 10 was above the 2600 block of Northwest 13th Street as the vehicle was being towed away. "It can't be too bad. I was just worried about the little kid, you know what I'm saying? All this stuff here you can fix," Albert Doss, whose fence was damaged, said. Broward Sheriff's Office deputies said the 11-year-old boy stole the car earlier in the morning from his elderly, handicapped neighbor in the 3000 block of Northwest Seventh Street. A witness knocked on the victim's door and told her that the boy was stealing her car, authorities said. Deputies said the boy crashed the car into a concrete pillar and rod iron gate, totaling the victim's vehicle. The boy ran to his school, Charles Drew Elementary, after the crash, authorities said. Deputies said school employees called the boy's mother to let her know he was at school. Several deputies later arrived at the school and took the boy into custody. Authorities said the boy showed a sergeant where he left the vehicle and said that he left the keys inside the car. The boy was then taken to the Juvenile Assessment Center on charges of grand theft of a vehicle and leaving the scene of a crash. His identity is not being released because of his age. The victim, Sarah Jones, told Local 10 News that the boy's older brother also stole her 2009 Toyota 11 months ago. "I feel something needs to be done about the parenting. They have hit every house in this neighborhood," Jones said. "They are on the loose, on the wild." Jones said she hopes the boy is placed somewhere where he can get help. "Like I said, I don't hate them," Jones said. "It's like they need some help, crying out that they get help. I am a Christian and I really believe that they are not hopeless and they are not lost." The boy's mother declined to speak with Local 10 News reporter Neki Mohan about the incident. 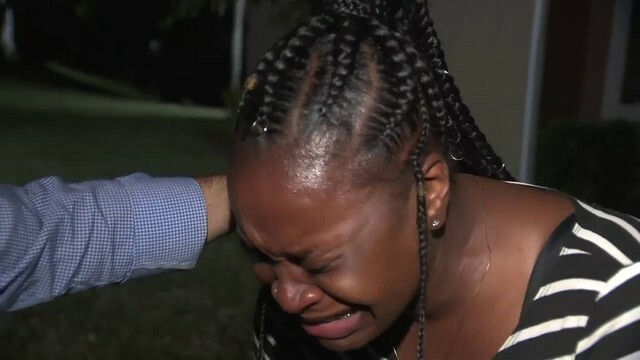 The boy was scheduled to appear in juvenile court Wednesday, but his family hospitalized him under Florida's Baker Act. The boy is expected to make his first court appearance after he is released from the hospital.